See intricately designed pumpkin carvings featuring the faces of famous movie monsters, TV horror hosts, and the Three Stooges. These and more will be available for sale at Monster Bash this June. 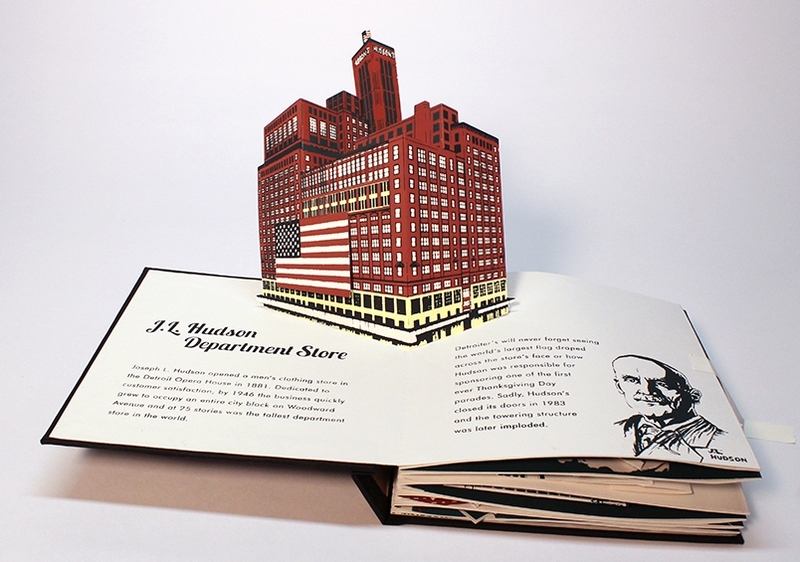 See Detroit Nostalgia: A Pop-Up Book of Memories by Nicholas Danish, a recently completed screen printed book focusing on iconic buildings from Detroit's past. See Waterbirds of Michigan: A Pop-Up Field Guide by Esther Licata and Nicholas Danish, which earned first place for the Emerging Paper Engineer award at the Movable Book Society Conference in Boston. Another of his books, Phantom of the Opera: A Pop-Up Book, claimed an honorable mention spot.